Mount Marcy is the highest of the High Peaks, and its impressive presence commands the view from many other peaks. The shortest route to its cone-shaped summit is from the Adirondak Loj parking area. Don't be fooled by the relatively low milage of this hike — this is a steep, serious climb, especially during the last mile, which ascends the summit on open rock. The shortest and most popular route leaves from the High Peaks Information Center parking lot, near Adirondak Loj. There is a parking fee to use this large lot. Leave Lake Placid on Route 73, turn right on Adirondack Loj Road, and follow it to its end. Pay the fee at the booth, even if no one is inside. This is the big one! Mount Marcy is the tallest mountain in New York. While not technically challenging, it offers plenty of varied terrain, making for a very long day. The summit's massive rock dome boasts some of the best views in the northeast. Be sure to tread lightly, though, as Marcy is home to endangered alpine vegetation. Only walk on designated paths and stay on open rock at all times. There are four main trails to Mount Marcy's summit. The route from the Adirondak Loj parking area, the Van Hoevenberg Trail, is the most popular and heavily used — and at 7.4 miles one way, it's also the shortest. We recommend you pick up a guidebook for more in-depth details on the longer approaches to this peak. 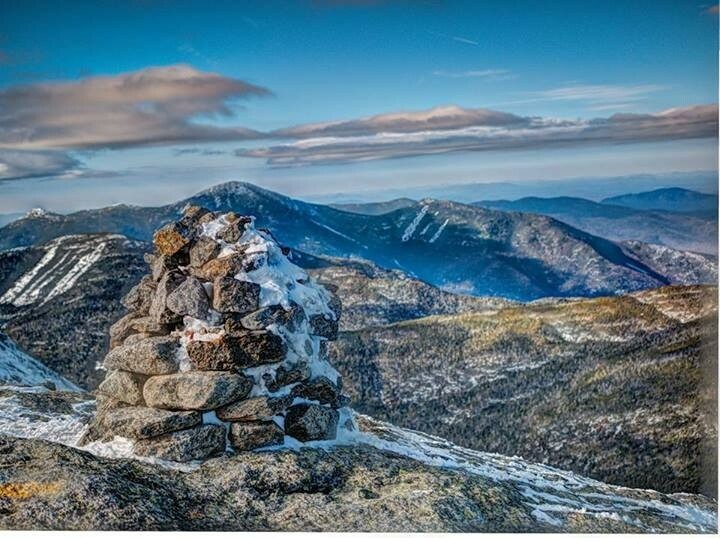 For those demanding a very long outing or a super challenge, a hike up Marcy can also be combined with Mount Skylight and Gray, two other High Peaks. This is a 14.8 mile round trip with a moderate to steep climb. Starting from the Loj parking lot, the first 2.3 miles of the Van Hoevenberg Trail are easy to moderate as it approaches the former site of Marcy Dam. Storms from Hurricane Irene blew out the dam, but there are still excellent views of Mount Colden, Avalanche Mountain, and Wright Peak. Turn left after the remnants of the dam to follow Phelps Brook, a rocky trail that becomes steep at times, especially before it reaches Marcy Brook at 4.4 miles. Cross the brook and take the herd path right for about 50 yards to the top of Indian Falls, where there is an outstanding view of the MacIntyre Range. From Indian Falls it's a moderate ascent up to tree line. There are amazing views to be had during the rest of the route, but be aware that temperature, wind, and visibility can change quickly and with little warning on the upper portions of any mountain. Things ease off for a bit, and several views of Marcy's summit cone reveal themselves before timberline is reached at 6.8 miles. From here it's a steep climb over open rock to the top, which is reached at 7.4 miles. Mount Marcy is a challenging mountain that should only be attempted by experienced hikers, especially in winter. Snowshoes are a must for much of the route, and snow spikes or crampons are necessary to climb the exposed upper reaches of the peak. Plan on the temperature in the higher elevations being at least 20 degrees colder than in the valley, not including the windchill. Bring several extra non-cotton layers, a headlamp with spare batteries, extra food, a windbreaker, goggles, face mask, and supplies for spending the night in case of emergency.